What is there to do on Capri once night falls? In the summer, Capri's nightlife offers cosmopolitan entertainment, even if the island doesn't have huge discos or nightclubs. 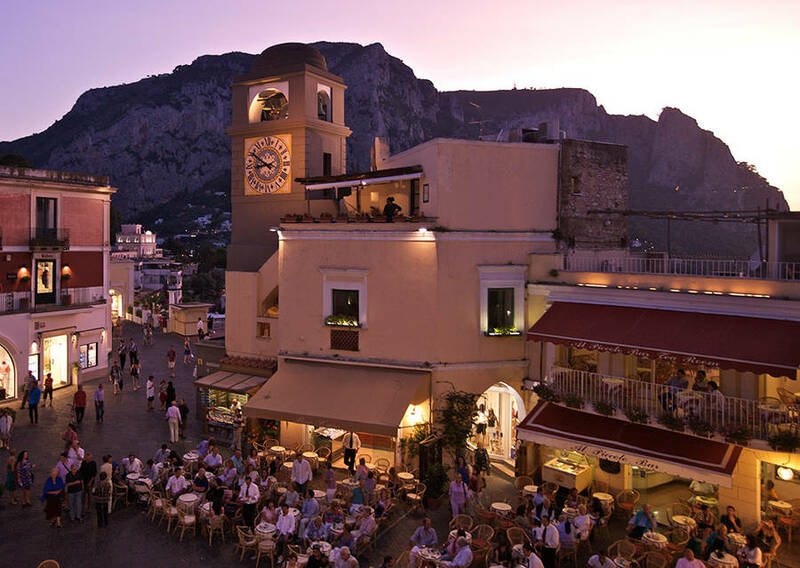 Evenings on Capri begin with a cocktail in Piazzetta, where islanders and visitors relax and socialize before continuing on to one of the local restaurants for dinner. After midnight, everyone heads to the taverne, small clubs where there is usually live music and the festive crowds dance and sing along with Neapolitan classics. The "most lively area" is concentrated around the Piazzetta and the Quisisana, which is where the famed Taverna Anema e Core is located, the island's landmark taverna. The cover charge including one drink is around ,40. There is always a long line at the door to get in. Here, Guido Lembo and his band has been heating up the dance floor for locals, tourists, and international celebraties with traditional Neapolitan music and Italian hits for the past 20 years. The island's nightlife picks up on the weekends and during the months of July and August; for the rest of the year, the evenings are relatively quiet from Monday to Thursday. Capri is known for its casual atmosphere, so everyone generally dresses however they like. Island fashion tends toward elegant white linen or other natural fabrics and flat shoes, as high heels are not suitable for the steep and narrow lanes on Capri. The best choice of footwear are the traditional flat sandals made on directly on the island. In the most high-end hotels, men are expected to wear long pants.